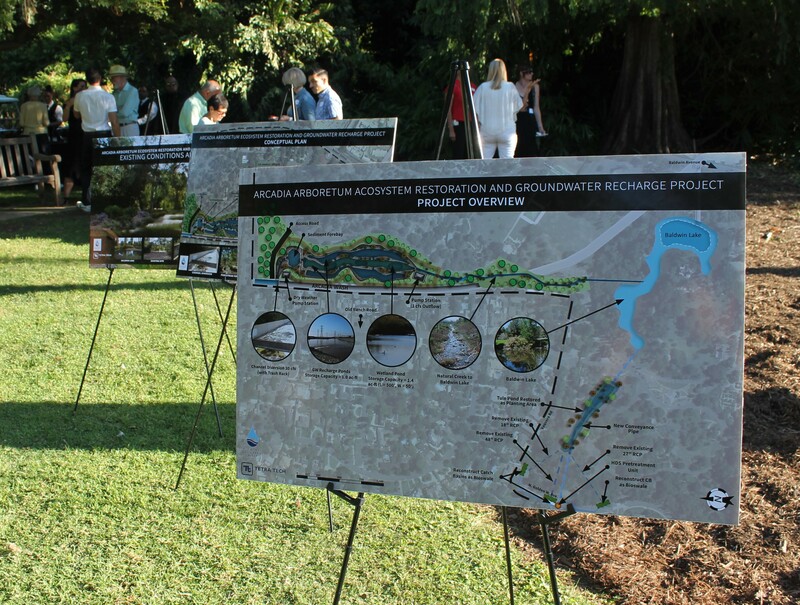 Efforts are continuing for the restoration of Baldwin Lake. 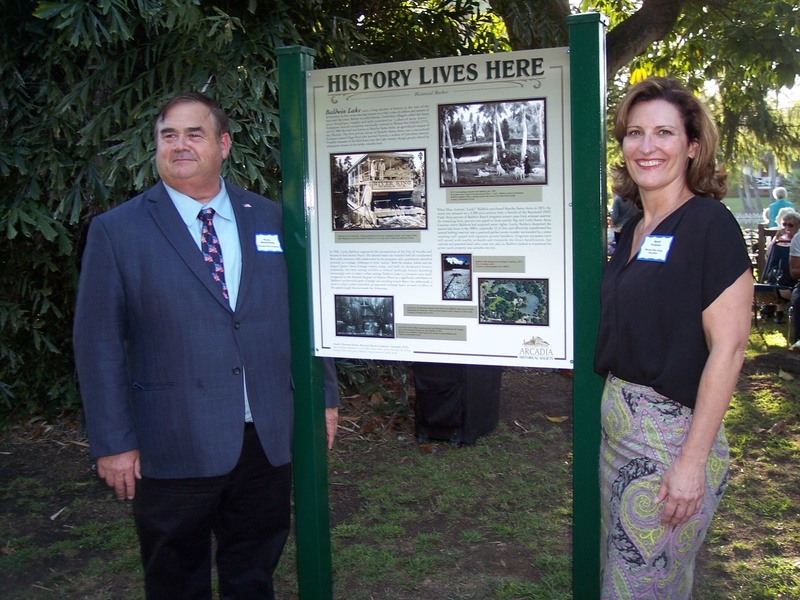 The Arboretum thanks Arcadia Historical Society for its recent donation of an eye-catching “History Lives Here” marker now located on the eastern shore of Baldwin Lake. 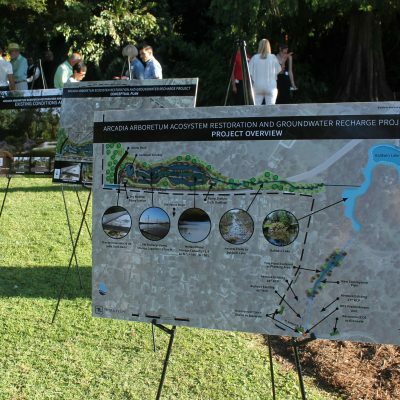 Featuring period photographs and postcards that document the Lake’s storied past, the new marker also represents a step into the future as community support builds to save this endangered historic resource. We anticipate receipt of construction and geotechnical documents in the near future as an important next step in plans to restore the Lake’s granite perimeter wall to its Lucky Baldwin (late 1880’s) period of historic significance. 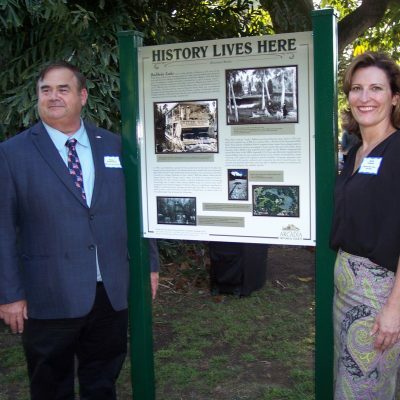 Photo left: Arcadia City Council member Peter Amundson and Mayor Pro Tem April Verlato at new “History Lives Here” marker. Photos by Brian Diaz.